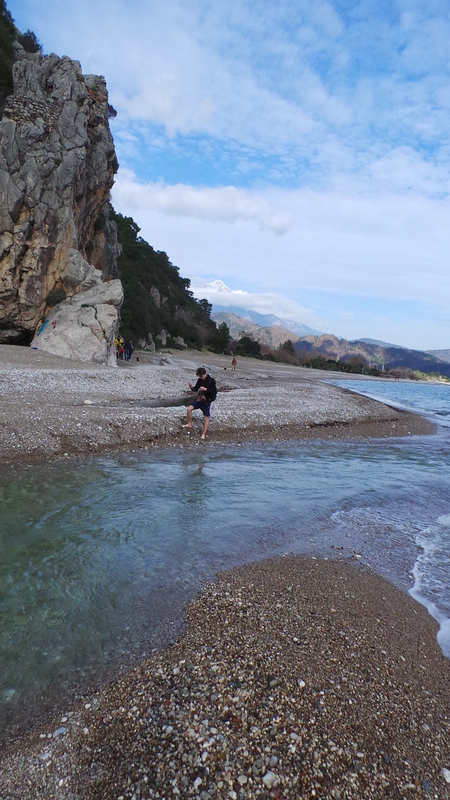 There’s enough climbing at Geyikbayri for a few months, but we fancied a change of scene so what better than a trip to the seaside? 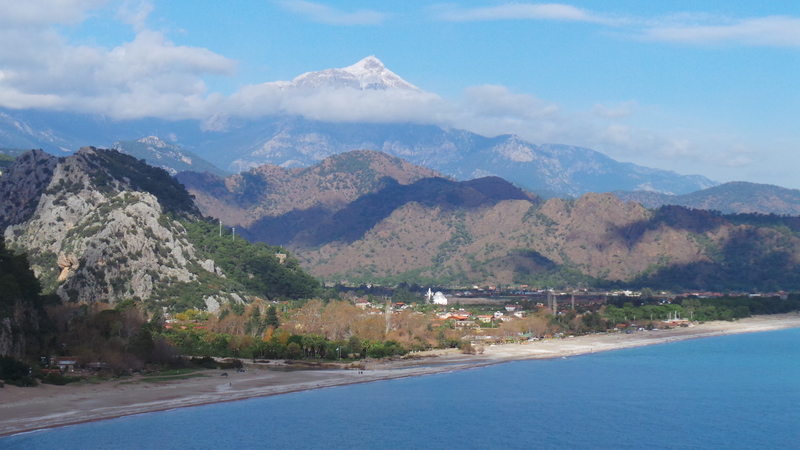 Olympos is a small seaside village about an hour and a half from Geyikbayri, best known for its Roman ruins. It also hosts a collection of sports crags with about 200 routes, and we picked Cennet for a complete contrast – vertical rock of remarkable smoothness, with the occasional crack or crozzly pocket, a bit like a limestone version of slate climbing. The first challenge was getting there – the topo shows a dirt road for the last 1km, crossing a river. I foolishly assumed there would be a bridge, but it’s a ford… about 1m deep!!! Wading proved a very wise decision, followed by an amble along the beach, passing beneath a ruined Roman fort from around 300BC, before another paddle brings the end of the beach and a cairned path up and around a small headland before the crag appears out of nowhere after 10 minutes or so. Great climbing, and a chance to swap pumped shoulders and biceps for trashed fingers and aching calves. 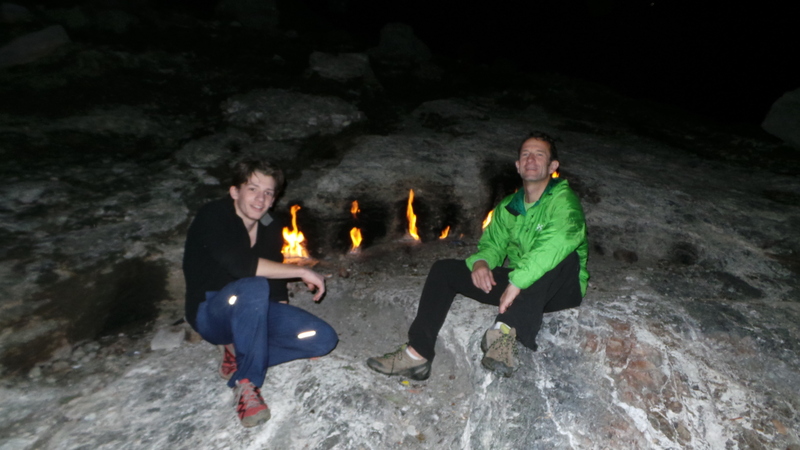 The approaching dusk provided the perfect time to visit the nearby Chimaera – an amazing natural phenomenon where gas seeping from underground emerges and spontaneously ignites to form flares across a rocky hillside. Much revered in ancient times, the flames really do produce a quite magical effect on a peaceful evening, especially accompanied by some hooting owls. For once a “Rough Guide” experience that isn’t over-hyped.